Description: RH Peterson sets the standard in quality for grills and gas logs. Find the perfect match for your magic hour. 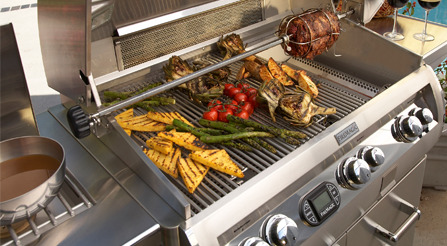 Three spectacular grilling product lines, the Echelon Diamond Grill, the Aurora Grill and the Legacy Series Collection. Legendary grills that still deliver extraordinarily high quality - that's the Legacy Collection from Fire Magic.